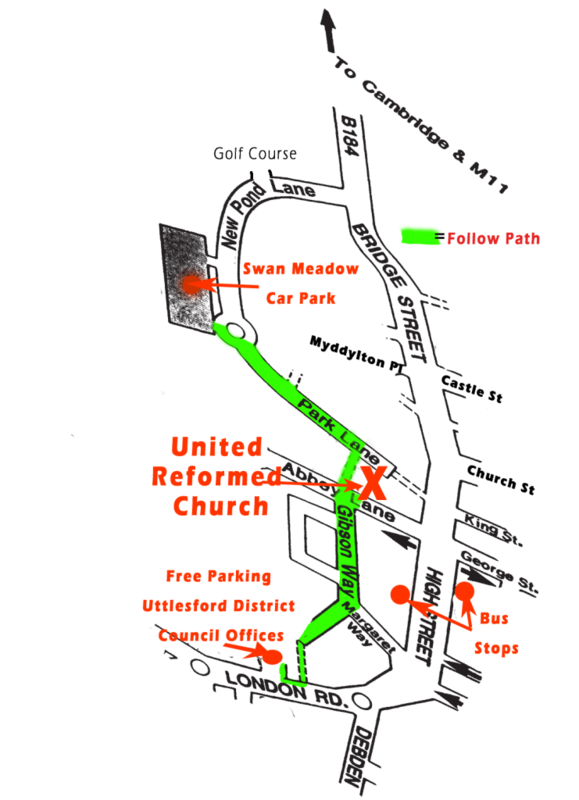 Please note: The United Reformed Church has extremely limited parking. However, Swan Meadow Car Park, CB10 1DA, (with disabled spaces) is only 6 mins walk away. Stewards will guide you from the car park to the church. Buses and taxis run from the station into Saffron Walden High Street. Stagecoach Route 7 from Cambridge, Shelford, Sawston to Saffron Walden High Street.